Welcome to my site. I'm an artist local to South Bend, IN. My work is an expression of my love for seeing how things work, my interest in anatomy, and my desire to express different human vulnerabilities. I like to try to touch on hard feelings that I think people are afraid no one else can relate to. 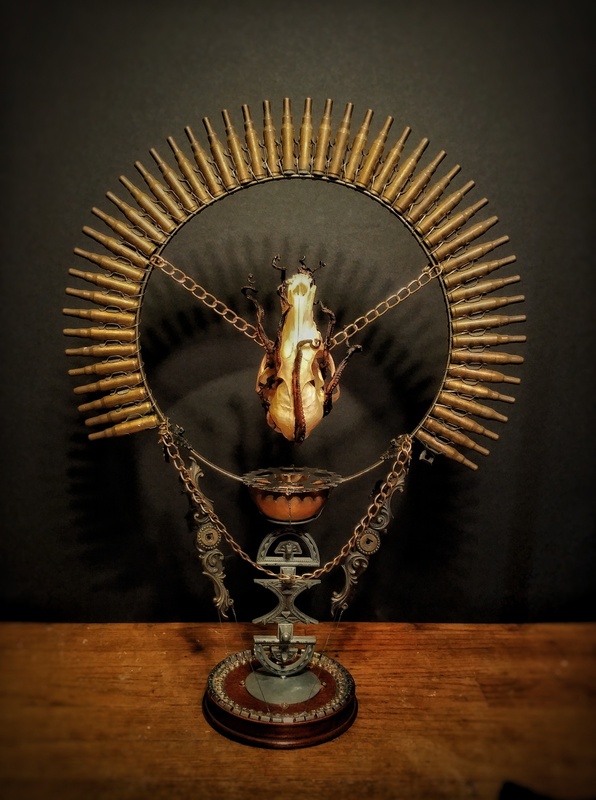 I take junk, animal bones, and broken items and build them into work that showcases what I think is interesting in each part. in a world where everything has become disposable, most of my work is meant to remind people that just because something isn't useful for it's original purpose doesn't mean that it is garbage.